Correct exercise form has nothing to do with the appearance or “shape” of the exercise. It has everything to do with the prime mover and stabilizing muscles firing both completely and sequentially—regardless of what the movement looks like. If any muscle isn’t firing properly in a coordinated fashion, something else will pick up the slack, and you are in real trouble. The biggest cause of hip and shoulder dysfunction is a lack of proper core strength. But not just core strength, coordinated and synchronized core strength. 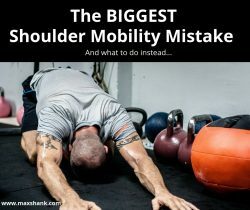 AKA: Your core needs to do its job (and continue to do it) WHILE you move. When your core can’t provide a stable anchor point at your center of gravity, you will move stiffly, weakly, and likely get injured. How do we ensure proper core activation during movement? Well you could try yelling “Keep your abs tight!” until you lose your voice. Or you could do something to FORCE the abs to stay tight. I personally choose option #2. At first I used a trick I stumbled upon while trying to teach someone how to keep the abs engaged during a deadlift. In order to keep the abs tight, I had to physically push on them throughout the movement. This was not an ideal vantage point for coaching the rest of the movement, and I certainly couldn’t apply this tactic to more than one person at a time. A simple dowel pressed into the abdomen with straight arms will activate the core and lats, providing a stable center of gravity, which will allow free movement of the hips without compensation. Take a look at this video here for an exact example of what I mean. During movement, press the dowel into your stomach (I recommend trying a few different positions for the dowel, but the low abs are definitely going to need some attention). To prevent slicing yourself in half, tighten the abs to create a solid surface (like a rock) for the dowel to push into. Once you are locked in, maintain pressure and use it with any lower body movement, from bridges, to single leg deadlifts, to any lunge. I also like to use it during lower body active stretches to make them more effective. This is quickly becoming one of my favorite go-to strength primers. You will absolutely be shocked at how strong and mobile the hips feel after doing this. Remember, one of the easiest ways to get stronger is to make sure your muscles are firing properly together in a coordinated fashion. This one move will GUARANTEE that is happening for you. Many people mistakenly believe they have tight hips, but really, their hips are just compensating for a weak core. 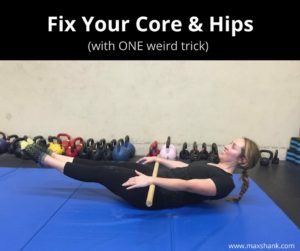 Fix the core, and the hips will be free. 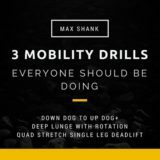 PS: You can take your mobility and core strength to the next level with my complete system: 5 Minute Flow. 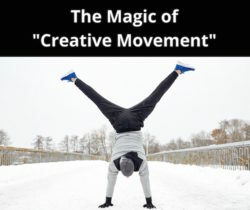 Pick up a copy and see what a massive change just 5 minutes of the right movement can make in your day (and life).